Pakka wood is known for its beautiful dark reddish color and elegant grain. When it is used in a knife handle it creates a TRADITION of its own. 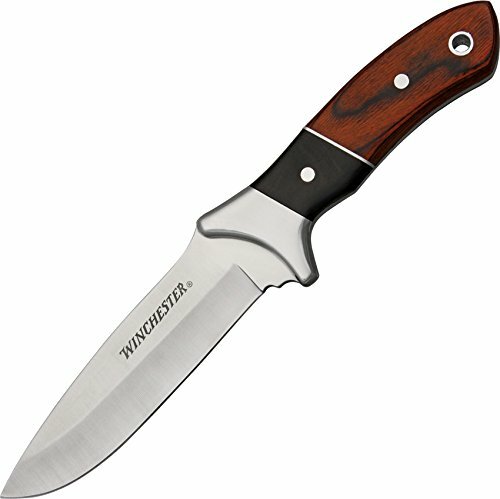 The Winchester Pakka wood large fixed blade drop point provides the Grace of classic wood handles and the best of Winchester knife technology and TRADITION to create a knife that you are proud to own and treasure for years. Features:- blade length: 5-1/4"- Pakka wood handle- stainless steel bolsters and blade- fine edge blade""